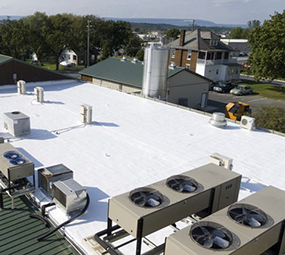 Among the topnotch services we provide at E&E Construction, we perform spray foam roofing (SPF) applications, which provide buildings with top-down protection from Mother Nature’s elements. As with our other roofing services, we use top-quality Conklin roofing products when performing SPF applications, as we have found Conklin’s products to be the very best in the industry. 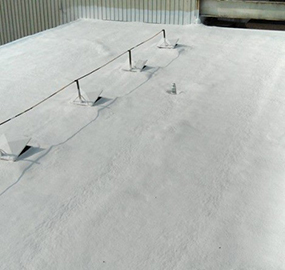 An SPF roofing system from Conklin provides high-grade insulation and exceptional protection, safeguarding your roof and building from the elements. SPF application efficiently controls air filtration, adds building strength and helps cut cooling and heating costs. 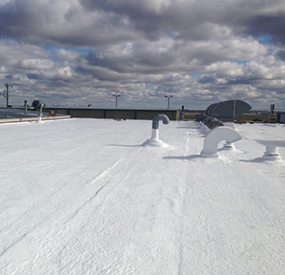 During the SPF application process, each trouble area on your roof is methodically addressed, repaired and resealed. Finally, your entire roof is sealed with a reflective finish coat. Call on the Team You Trust! The expert crew at E&E Construction Company provides a full array of professional roofing services you can rely on. We combine an outstanding work ethic, affordable prices and quality workmanship with industry-leading roofing products from Conklin. The result: high-quality work that stands the test of time and leaves our customers smiling. Over the past decade, we have amassed a long list of satisfied clients as we work hard to provide them with excellent commercial roofing services and the very best customer experience. We serve customers throughout Ohio, West Virginia, Kentucky and Indiana, with immediate service areas including Columbus, Cincinnati, Charleston, Parkersburg, Huntington, Lexington, Louisville, Indianapolis, Fort Wayne and the surrounding communities.